I would like to dedicate the front page of our website to this amazing woman, my mom, who was the Founder of SanWild. I can’t imagine putting her anywhere else on our website. Together with all her loyal supporters, friends and family, SanWild is what it is today, a safe haven for so many rescued animals that have found their forever home on the land that belongs to the animals. Taking on the responsibility of rescuing wild animals in need and providing a safe home where they could be given a 2nd chance certainly has been a difficult road with many uphill battles. However, the support of so many loving, caring people that shared Louise’s dream and made it their own, gave Louise her ability to remain determined to continue to strive to make this world a better place for at least some wild animals. At SanWild we believe animals soon learn to trust again and not to fear persecution from mankind. Louise had an unlimited love for all animals but made it her life’s work to help wild animals in particular. This is a transcript of my Facebook post on 24th April 2018. 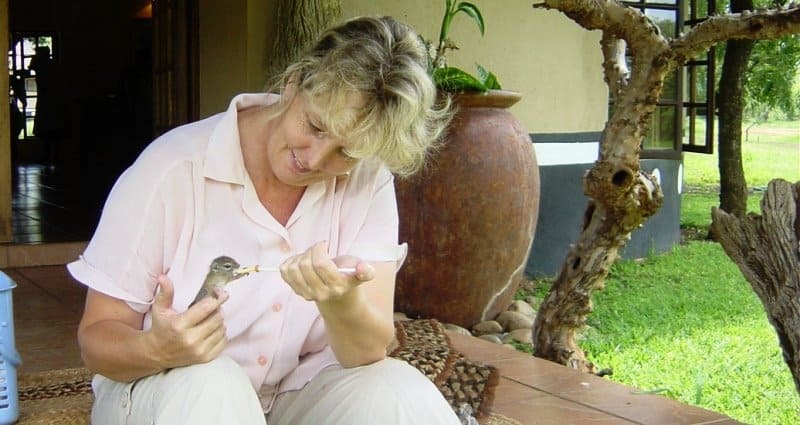 This is a promise we at SanWild will honour and in memory of Louise Joubert, her legacy will continue to reign over SanWild. If you would like to donate towards our Wildlife Fund in Memory of Louise please click on the picture above to be directed to PayPal. All donations will be greatly appreciated. These donations will help with the day to day running costs of the wildlife Sanctuary.